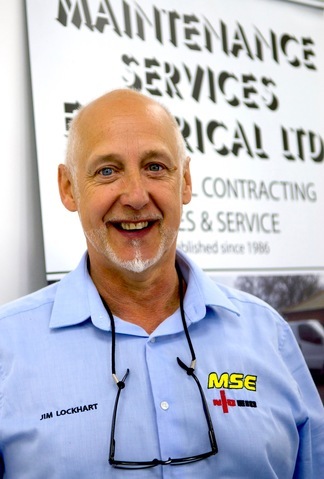 Jim Lockhart is proud that MSE has been registered with the National Inspection Council for Electrical Installation Contracting (NICEIC) for over 15 years. Here he explains why it’s important and what’s involved. “The standards that the NICEIC oversee are important to maintain the quality of electrical work for homeowners, businesses, public bodies like local government and the NHS as well professionals like architects, surveyors and insurers. “I’ve seen some real DIY nightmares and poor quality installations. While businesses generally realise the importance of electrical safety many members of the public don’t appreciate the risks they could be taking by using an unregistered engineer. “The NICEIC is really a consumer organisation, which many people don’t realise. It promotes electrical safety and lobbies government. It also provides electrical installers and contractors with national recognition and a good way to formalise their systems. “Another important part of the NICEIC’s role is to specify training and to encourage everyone to maintain and upgrade their qualifications. “So, for example, the latest edition of the Wiring Regulations - BS7671 18th Edition ¬- will be published in July next year. The NICEIC has worked with the Institution of Electrical Engineers (IEE) to rewrite the regulations so that the new version fully takes account of innovation and risk. “Once the new regulations are published everyone will have to complete compulsory training that will include a physical inspection of their work. “To be registered, our work is reviewed annually by full-time and highly qualified NICEIC inspectors. They don’t just check our work onsite; they also look at our insurance, health and safety practices, operations, our tools and plant. “We have to provide a list of our clients who can be available for inspection and they choose a representative cross section. “The inspectors spend a full day visiting our industrial, commercial and domestic installations. In addition to looking at the quality of our electrical work, they also review our testing and condition and installation reports.